The HBO special "Robin Williams: Come Inside My Mind" offers the promise of insight into a brilliant comedian who exuded joy as he battled inner demons. Robin Williams' one man show "Weapons of Self-Destruction" will play a limited run on Broadway. Some 40 years ago, in a segment during his first HBO special, Robin Williams plays himself as an old man, circa 2018, looking back at his career. He joked about portraying an alien ("Not that funny since they've landed"). But he turned almost serious at the end, speaking words that earned bittersweet chuckles then and haunt now. "You're only given a little spark of madness and if you lose that, you're nothing.... don't ever lose that because it keeps you alive," he said. The comic's once seemingly indefatigable spirit gets rekindled nearly four years after his death with the July 16 debut of an HBO documentary, "Robin Williams: Come Inside My Mind." The film offers the promise of delivering new insight into a comedy great who spurred laughter as he battled demons. 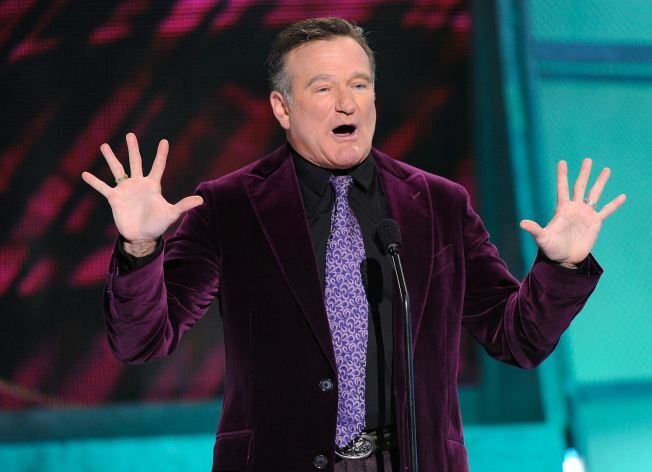 Williams largely masked the cliché of the clown crying on the inside with his original verbal cacophony – from "Mork & Mindy" to his manic, often improv-driven stand-up routines and talk show appearances. At times, Williams' motor-mouth seemed to barely keep up with his rapid-firing neurons. Yet he harnessed his out-sized talent to deliver more disciplined performances – comic, dramatic and in-between – in the cinematic likes of "Good Morning, Vietnam," "The World According to Garp," "Dead Poet's Society," "The Fisher King" and "Mrs. Doubtfire," among others. Too often these days, he’s remembered in the context of notables who have died by their own hand, their private burdens unfathomable to a public that thought it knew them through their work. The documentary, containing interviews with Whoopi Goldberg, Billy Crystal and Steve Martin, among others, arrives five days before what would have been Williams' 67th birthday. One can't help wish that he'd been around to look back his career in 2018 as he did in jest as a young man. He hopefully would have derived a modicum of comfort from the decades of joy he ignited with his everlasting spark of brilliance.